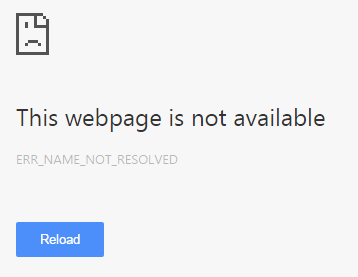 ERR_NAME_NOT_RESOLVED error usually appears when you are trying to log on a website. When this error occurs, there is also a message telling you the web page is not available. You cannot get through this error and reach the website. Basically, ERR_NAME_NOT_RESOLVED error results from issues of your DNS address. Your Internet DNS address is blocked due to various reasons and therefore this ERR_NAME_NOT_RESOLVED error occurs. Browser cookies can block your Internet DNS and then cause the ERR_NAME_NOT_RESOLVED error. You can try clearing browser cookies to fix this error. Type “chrome://settings/clearBrowserData” in the address bar and press Enter on your keyboard. 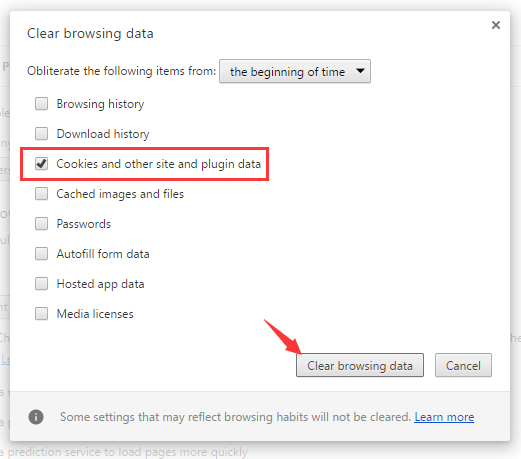 Only check Cookies and other sites and plugin data. (This means you want to clear this type of data only.) Then click on Clear browsing data. All cookies in your browser are cleared. You can check and see if the problem is fixed. Flushing and renewing DNS is a very good way to fix the ERR_NAME_NOT_RESOLVED error — this method is quite easy to perform and it is very effective. Press the Windows logo key or click the Start Menu and then type “cmd“. 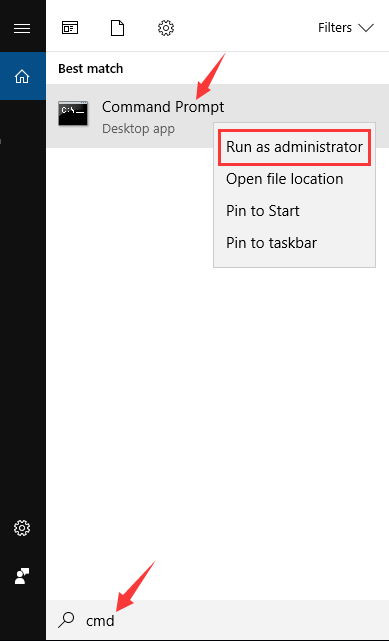 Right click on Command Prompt in the result and select Run as administrator. 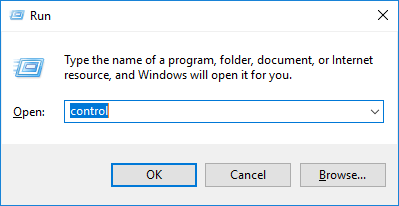 Close Command Prompt and restart your computer. Then see if the error is fixed. 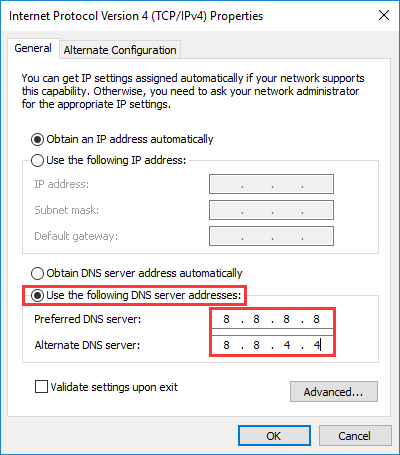 Changing DNS address to a public one can help you fix browsing problems caused by DNS. You can change it to open DNS server address provided by Google. Press Win + R. Type “control” and press Enter. 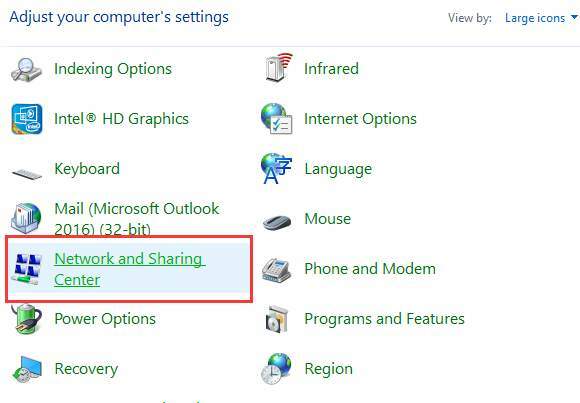 In Control Panel, click Network and Sharing Center. 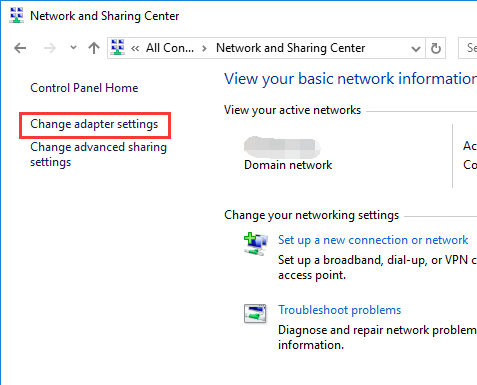 Click on Change adapter settings on the left pane. 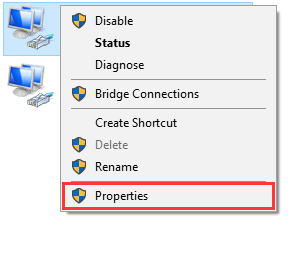 Right click on the connection that connect your computer to the Internet, and then select Properties. 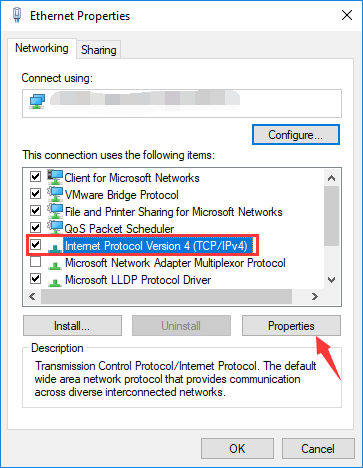 Select the item Internet Protocol Version 4 (TCP/IPv4), and then click on Properties. Select Use the following DNS server address. Enter 8.8.8.8 for Preferred DNS server and 8.8.4.4 for Alternate DNS server. Click OK all the way out, then see if this method resolves the problem. 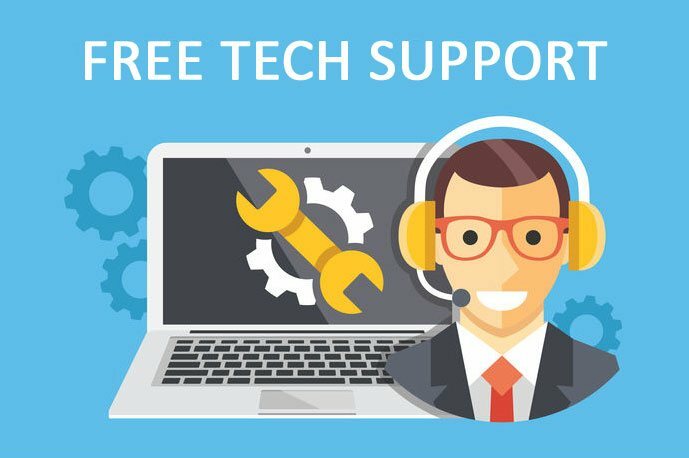 The firewall or security software you are using can block the network connection or the browser and thus creates DNS block error. Check the settings of your firewall and security software. You may need to unblock your browser and your network connection. Or you can try disabling your firewall or security software to see if the error is fixed. You may be having the ERR_NAME_NOT_RESOLVED error because your connection to the website is being interrupted. You should try using a VPN to bypass the interruption. 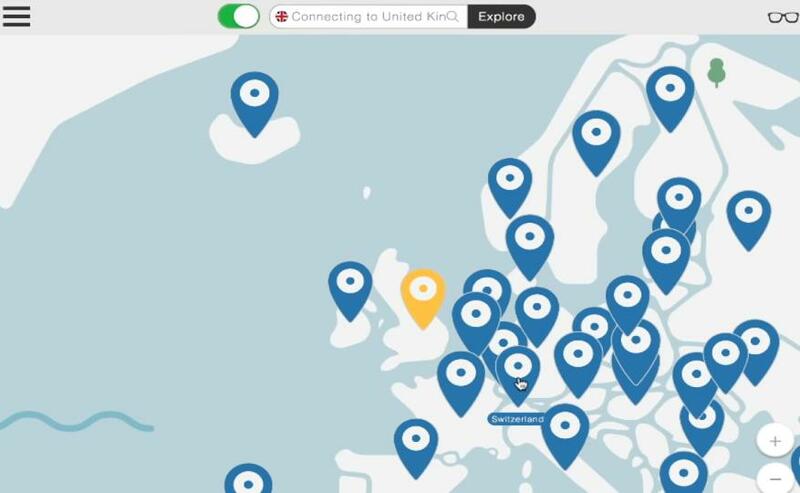 We recommend using NordVPN. Try accessing the website with Chrome and see if the error has gone. Shut down your router completely and unplug the power cable from your router. Plug the cable back and turn on the router. Check and see if the problem resolves. You may consult the manufacturer of your device for further assistance if you encounter any hardware issue on your router.